Russia’s Timur Timerzyanov will make his debut for the World RX Team Austria squad at the opening round of the FIA World Rallycross Championship in Portugal this weekend, driving a Ford Fiesta Supercar. The two-time European Rallycross Supercar champion has moved from Olsbergs MSE to partner Janis Baumanis in the Austrian team this season. Timerzyanov, Baumanis and team owner and driver Max Pucher have been testing recently and the Russian is in a positive frame of mind ahead of this weekend in Montalegre. “We’ve done some really good pre-season tests to develop the car from what they had last year. We’ve made good changes and got faster and faster on the tracks we’ve been to. The car I’m racing this weekend is completely new, so we will make some small adjustments, but it’s good. We have a brand new engine – the team have worked really hard, and we have some really nice looking carbon fibre parts on the car, which are lighter and stiffer,” said Timerzyanov, who won the Euro RX title in 2012 and 2013 driving for the Hansen Motorsport team. 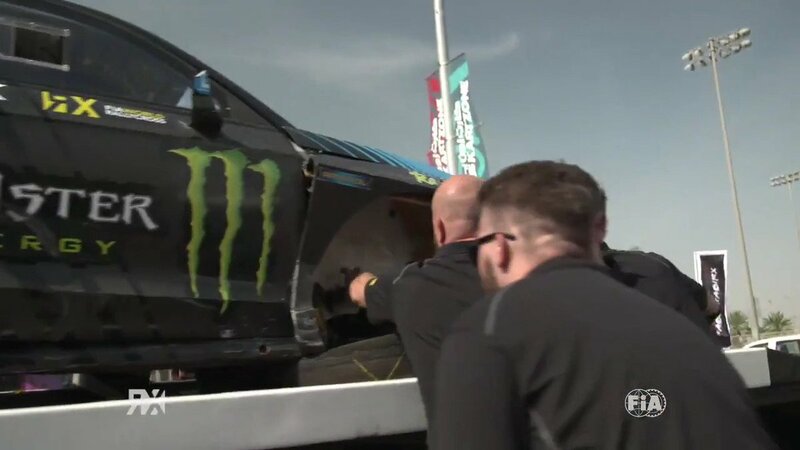 Originally entered in the team’s third car for the Montalegre event, Pucher has been forced to withdraw from the opening round of World RX due to a delay in the supply of components. HOW WELL DO WORLD RX DRIVERS KNOW SOUTH AFRICA?